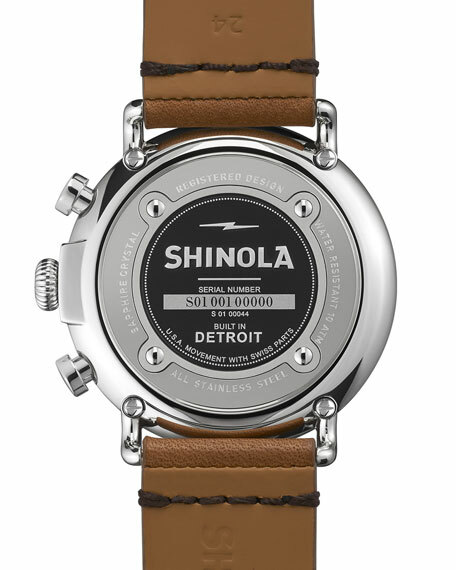 From the Shinola Runwell Collection. 47mm stainless steel case with double curve sapphire crystal. 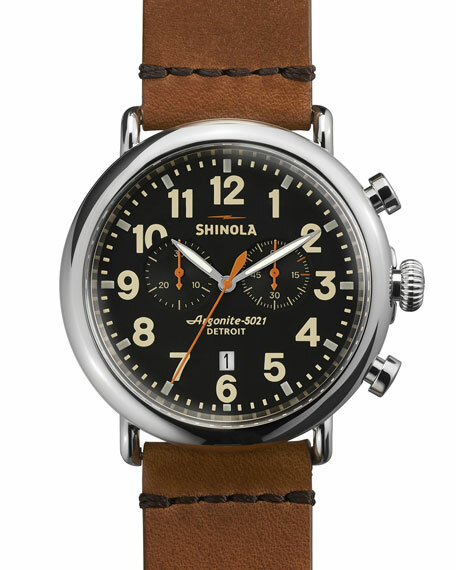 American-made tan leather strap with buckle. Hours, minutes, small seconds, and date window. Stopwatch function with one subdial. Detroit-built Argonite 5021 quartz movement with Swiss parts. 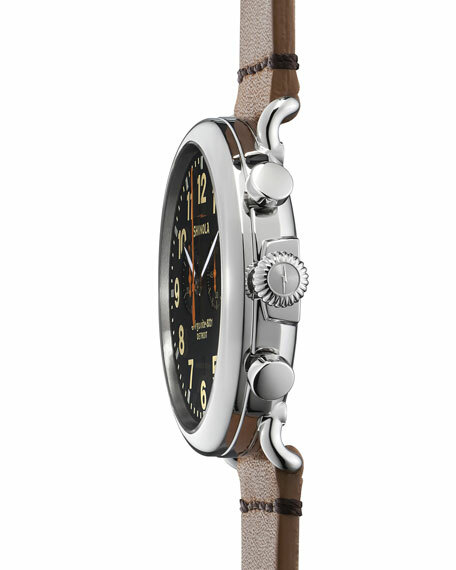 Water resistant up to 100 meters (10ATM/330 ft.). BOSS Hugo Boss watch from the Talent Collection. 42mm stainless steel case; Tachymeter ring. 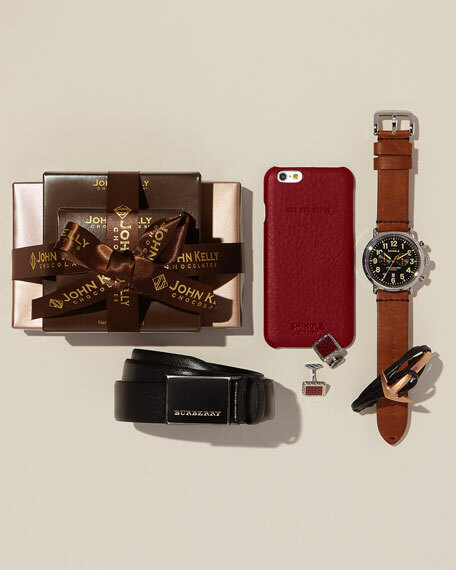 Textured leather strap. Black dial with stamped minute index, sunray dot, and hands. Hours, minutes, seconds, and date window. Three subdials with chronograph function. Water resistant to 5 ATM. Imported.